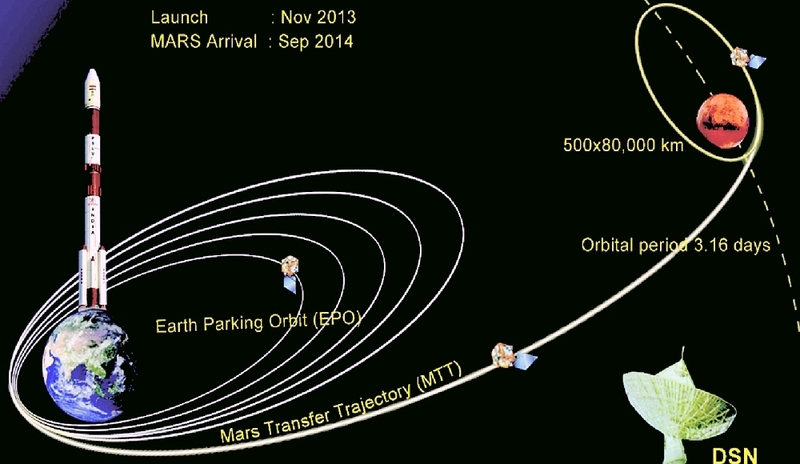 And today, India’s proud space project – Mangalyaan (ISRO’s Mars Orbiter Mission) – starts its final stage; journey to Mars. Let’s pray to God, if at all God has something to do with Science. I could see many comments from some readers on the online news portals that a country like India should not spend such a high amount, as 450 crores, on a space mission. They ask if this money could be invested in meeting fundamentals needs of Indian citizens and to eradicate poverty. But poverty and Space missions are to be treated separate, if you ask me. I do not believe stopping space missions and investing that money in eradicating poverty will be a sustainable idea. This stands valid, especially when even the money intended for eradicating poverty doesn’t reach the needy. India needs progress on all realms; an inclusive growth. Ignorance is not to be blamed, but to be corrected. We want Space Missions that cost 450 crores; not the statues that cost 2500 crores 1 or 40000 crores 2! Adding words by Dr. U R Rao (not verbatim): In a country which spends over 5000 crores for the crackers that reach a few metres high, 450 crores for a scientifically proud project like Mangalyaan is, by any commonsense, justified! And everyone strives to make bad remarks on the ‘poor’ progress rate of the country but want India to become the superpower; still, do not support the progress in the field of Science and Technology. Those who lament about poverty, or the so-called ‘ill-spent money’ on Space projects, do nothing but lament! Further, Mangalyaan is the cheapest of all Mars missions in the world, as far as the cost is concerned, for most of the technology, materials and equipment are indigenous. Taking the words of Dr. K Radhakrishnan, ISRO chief, India spends only 0.34% of the total budget of the nation for space programs (which is very low compares to the percentafe of funds allocated by other leading countries), and only 7-8% of this 0.34% is spent on the scientific experiments 3. Considering that, we are doing something great. That gives a leap for ISRO, and they do deserve profound respect for that. Brijith Thomas, a young scientist, adds, “ISRO’s Mars mission is the cheapest so far, just 450 crore i.e Rs 12 per km, lower than the local Auto fare in Mumbai“. We should not forget the depth and length of technology we achieved through space missions and India has around 10 communication satellites and 10 remote sensing satellites around the mother earth. Fishermen, farmers, and who else have not benefited from India’s space mission? Remember the last #Phailin cyclone – India’s disaster management system could effectively and successfully work in such a disastrous and catastrophic moment, just because we had enough space missions, including INSAT. Remember, it was Chandrayaan-1 that scientifically proved the presence of water on Moon. ‘Mangalyaan’ is just not an ostentation for India; it is a mission. Most of the Mars missions were failure, including China’s 2011, and Japan’s 2003. Only those by NASA, ESA and Russia (read more) have been successful (they too have tasted failure in Mars projects). Nevertheless, let’s hope for the best. Let’s wait for the success of ‘Mangalyaan’. Jai Hind!